As of yesterday, it seems that Blizzard rekt players related to Brother Chris once again, and just as casually, they did so weeks before the ending of Season 5. This was also confirmed by a blue post earlier. I think ban waves just before the season ending are pretty refreshing for players who don’t cheat, since from reading various posts on reddit, twitch and forums, a lot of players are getting frustrated seeing streamers having thousands of keys and endless bounty materials overnight. Anyway, getting back on track in regards to the current RoS Bot ban wave, it seems that the majority of the targeted players, if not all, were actually seasonal players, as opposed to non-seasonal. I assume non-seasonal isn’t that big of a priority, especially given that season 5 is almost over, and if Blizzard didn’t take action, they would’ve been engraved forever in the leaderboards. Then again, taking action so late into the season is a pretty good strategy, so the players who are using bots won’t have time to achieve their desired paragon levels and items fast enough to climb the leaderboards. All the banned players have had their leaderboard ranks removed, and it is unclear yet if they get to keep their extra stash space from the season reward, if they purchase another account. 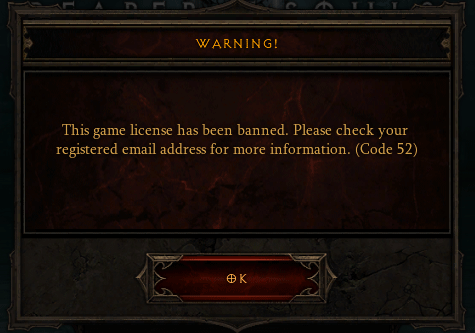 This account was closed for use of unauthorized cheat programs, also known as bots. These programs provide character benefits not normally achievable in the game and detract from the integrity of the game environment. If you’re among the players who didn’t cheat, then you’ve got nothing to worry about! If you’re among the ones who did cheat, but got away with it, we highly suggest you stop using any third party software unless you really don’t care about your account and you want to yolo it. 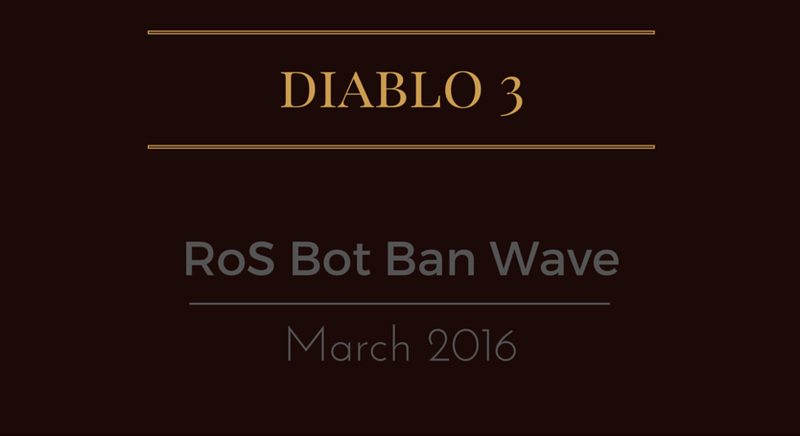 Hope you’ve enjoyed this article about the current Diablo 3 RoS Bot ban wave, and if you’ve got anything to add, please let us know through our comment section. Also, if we find out any other details on this subject, we’ll be adding them in this very article, so make sure you check it every now and then!